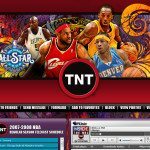 TNT is home to exclusive Thursday night NBA doubleheaders and the NBA All-Star Game, as well as over 40 Games in 40 Nights of NBA Playoffs coverage and exclusive coverage of the 2008 Western Conference Finals. 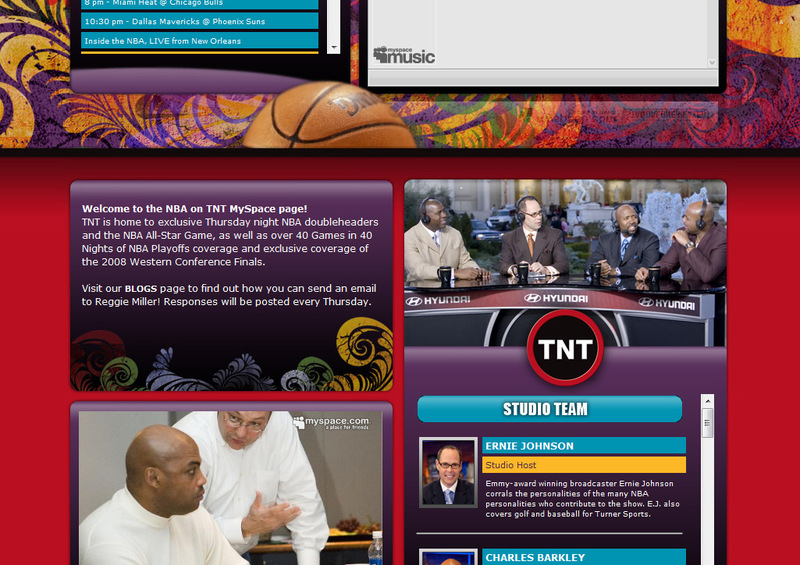 This is the 2nd myspace layout we’ve created for NBA on TNT. 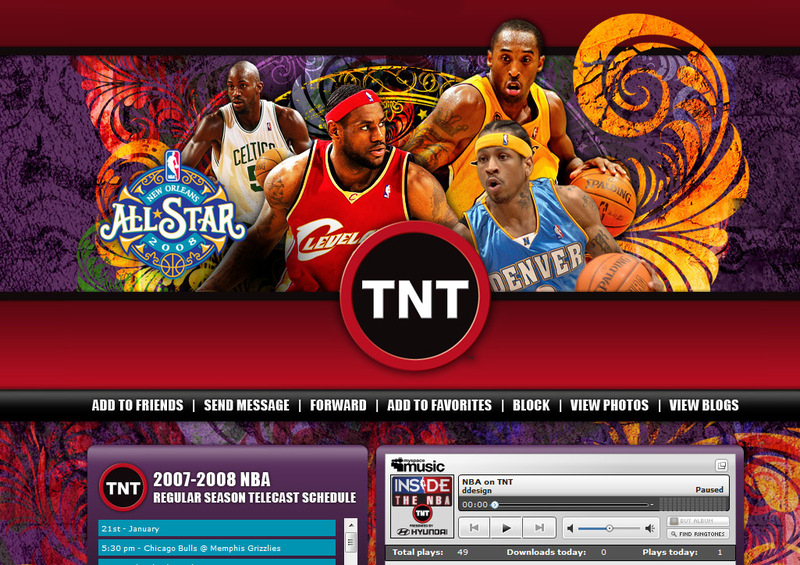 This layout is for the 2008 NBA All-Star Game. 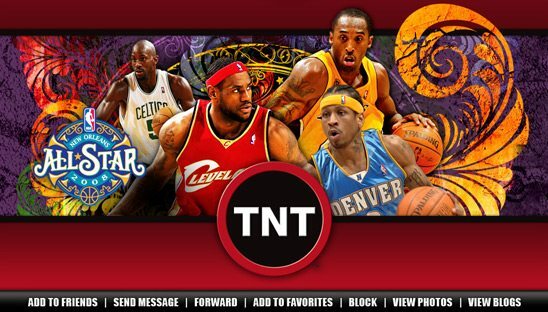 The theme for this layout was New Orleans since the 2008 All Star game was played there. 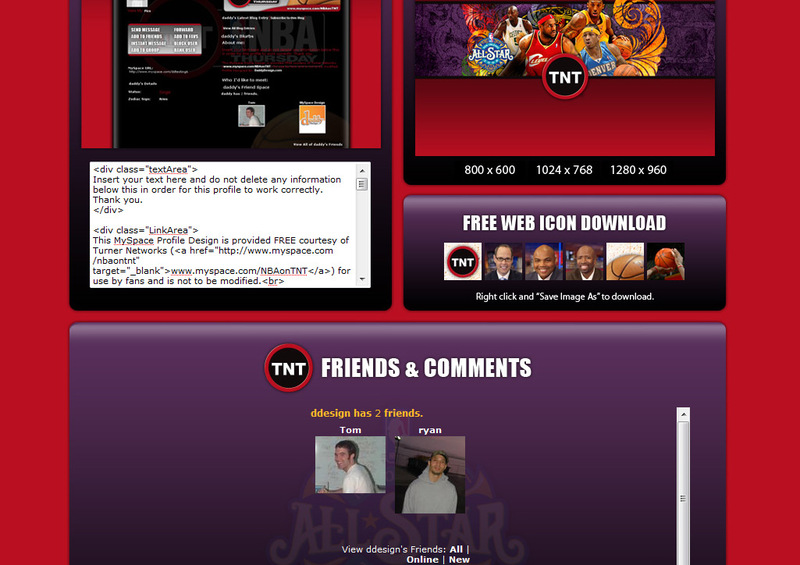 This page also has the fan “copy and paste” free layout and a wallpaper download, its part of our “FREE DOWNLOAD” add-on section.